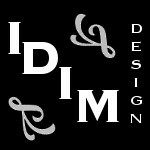 This week, my inspirational quote is a little different than usual. Father’s Day is Sunday, so that’s where my thoughts are—not on the week behind me, but on a day coming up. I’ve been blessed with many wonderful examples of fatherhood. My grandfather and my father were everything a girl could have asked for: strong, fun, loving, caring, encouraging. I have uncles and inlaws galore who fit the bill, too. I can’t tell you how full of love my heart is for each and every one of them. But my blessings, rich though they are, don’t end there. I married a man who is the best father I ever could have wanted for my children. He gave me a son and a daughter who are smart, funny, strong, and beautiful. I love him for many reasons, but maybe for that most of all. This week, I got to spend time with a family member who I don’t often get to see, and it reminded me how special our time together is and how much it should be treasured. I admit, sometimes I can’t see the obvious forest for my busy schedule of trees. It’s embarrassing, because it shouldn’t take a holiday or a visit to remind me. I hope to spend every day counting my blessings. As I work on that, I want to wish every father—and every positive male role model—a very happy Father’s Day. Late getting here, but I made it! A beautiful post reminding us to slow down and appreciate what and who we have. Hope your family had a fantastic Father’s Day, Staci! Thanks, Teri! It was a quiet day, and sometimes, that’s the best kind. Thank you, Annika. I’m so glad this post resonated with so many people. I truly am blessed. I can only hope everyone is half as lucky as I am. I love the quote you chose today. Wonderful sentiments too. Although my father was only in my life for 13 short years, he definitely contributed to making me the person I am today, and for that I will always be grateful. Have a great weekend, Staci! Oh, Mae. I knew you had lost your dad, but I didn’t realize you were so young when it happened. I’m sorry for your loss, but I know he must have been a wonderful person. I know this because we are products of how our parents raised us, and you’re an amazing woman. 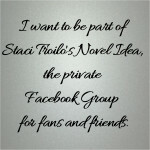 Check out this bit of author inspiration and some helpful writing links from this post on Staci Troilo’s blog. Great quote. Thanks for including my post in your list of links. My pleasure. Happy Father’s Day, Don. Love the quote, Staci. 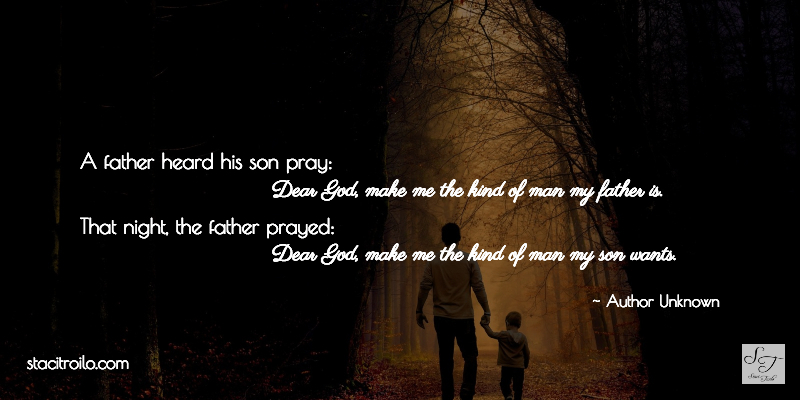 If all fathers and sons thought that way… Hope you have a wonderful weekend. Thanks, Joan. Wishing you and yours a happy weekend, as well. Dads do deserve a special day. Wishing you a wonderful one. Thanks for the reblog, Nicholas. Hope you enjoy your day with those wondeful men in your life! Thanks, Denise! I hope you have something wonderful planned, too.